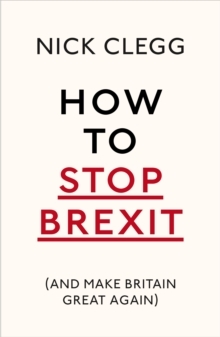 'Compelling' Ian McEwan 'Engrossing' Alan Johnson 'Essential' Robert Peston *THE SUNDAY TIMES BESTSELLER*Politics has changed. For decades Britain was divided between Left and Right but united in its belief in a two-party state. Now, with nationalism resurgent and mainstream parties in turmoil, stark new divisions define the country and the centre ground is deserted. Nick Clegg witnessed this change from the inside. 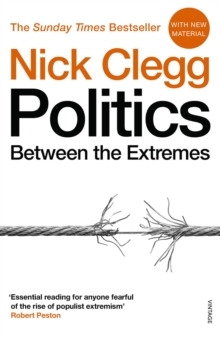 Here he offers a frank account of his experiences and puts the case for a new politics based on reason and compromise. 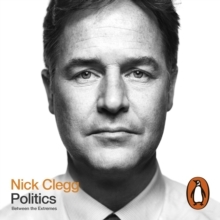 He writes candidly about the tense stand-offs within government and the decision to enter coalition with the Conservatives in the first place. He also lifts the lid on the arcane worlds of Westminster and Brussels, the vested interests that suffocate reform, as well as the achievements his party made despite them. Whatever your political persuasion, if you wish to understand politics in Britain today you cannot afford to ignore this book.